Welcome wowzers! I hope y'all are having a glorious summer week. We are enjoying some very odd weather here with low humidity and cooler temps. Is this late June in Georgia? Sure doesn't feel like it, but I will enjoy it while it lasts which I'm sure won't be long. To wake up to below 60 degree temps and a fall like feeling in the air is quite strange, but oh so nice. I'm sitting outside on the deck this morning writing this post and it is actually quite chilly. Miss Bailey even went back inside. Let's look at some features and get this party started! 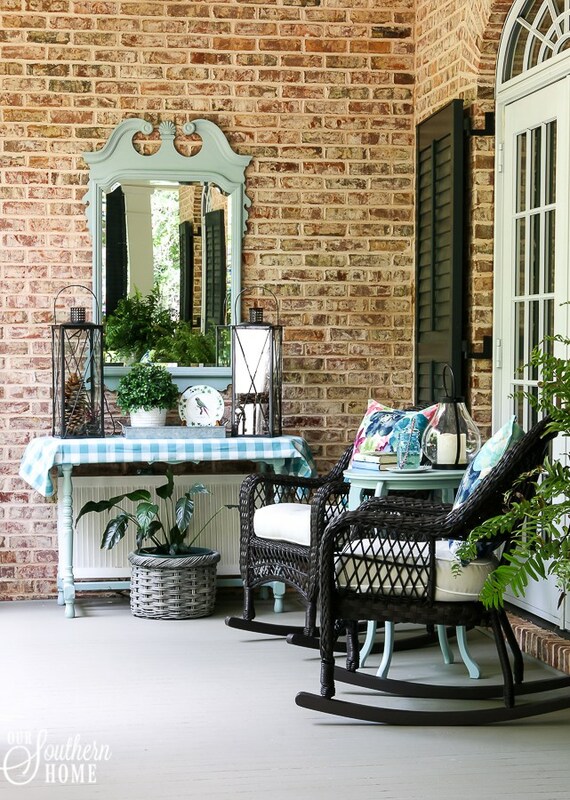 Check out the beautiful outdoor spaces at Our Southern Home. 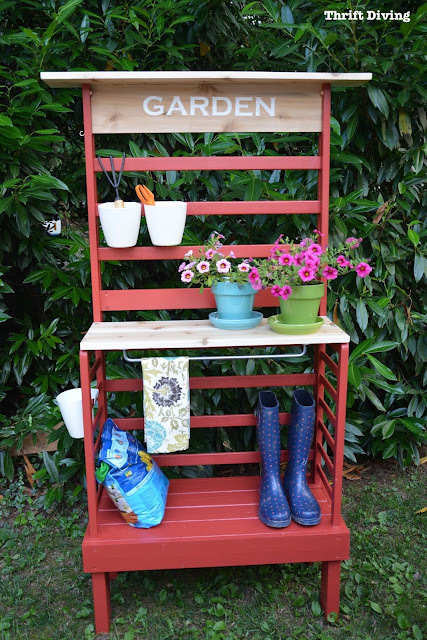 Thrift Diving transformed a toddler bed into a cute potting bench and shares the tutorial. 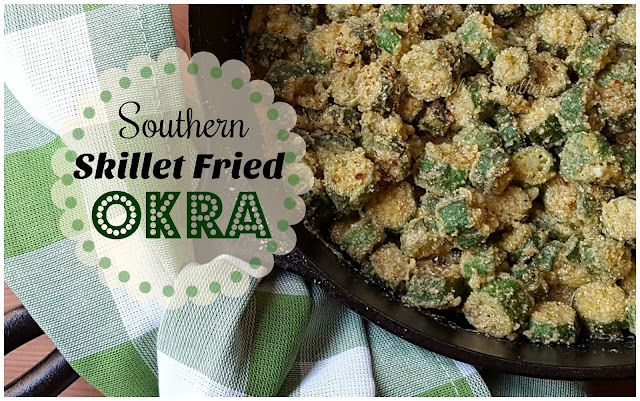 Yes, yes, yes fried okra is one of my favorite southern side dishes and you can find out how easy it is to make at Julia's Simply Southern. We're lovin' the break from the heat & humidity too! Thanks for hosting! Savor that weather, Kim! Thanks for hosting WOW! Thanks so much for hosting Kim. Kim, Thank you so much for hosting and giving me the opportunity to meet such great bloggers! Thank you for hosting, Kim! Have a great week! Thanks for hosting, Kim. We are getting a break from the heat too with a wonderful rain last night and more in the area this evening. I could get used to this! We have had a beautiful week as well, cooler temps than usual - but lots of sun! I had a hard time taking my pictures because of the beautiful breezes blowing!! Have a wonderful 4th of July weekend! Thank you for the party. Enjoy your cooler weather! Thanks for the party! Hope you're having a great week! Thank you for hosting the party. Have a wonderful week. Lot's of inspiration here! Thanks for hosting the party. Enjoy your 4th of July weekend! Great party today, Kim. I love all the great summer ideas! Great features!! Yes it has been cool in the mornings here too! Makes you want to take a nice long walk. Thanks for hosting and have a great week! That outdoor space looks wonderful. Thanks for hosting and have a wonderful rest of the week. The cooler temps and rain were a nice break from the heat now we're ready for another heatwave. Thank you for the weekly invite! Thanks for hosting and enjoy your holiday! !